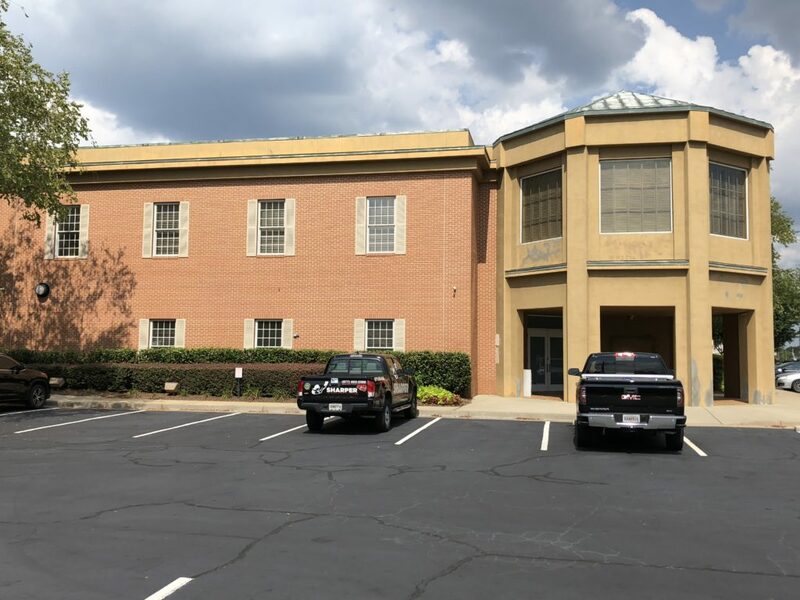 This old bank in Roswell GA was transformed into an office building. It was in dire need of stucco repair as all of the old surfaces were stained and yellowed. Our paint color consultant met with the new building owners and helped them select a modern cream paint color. 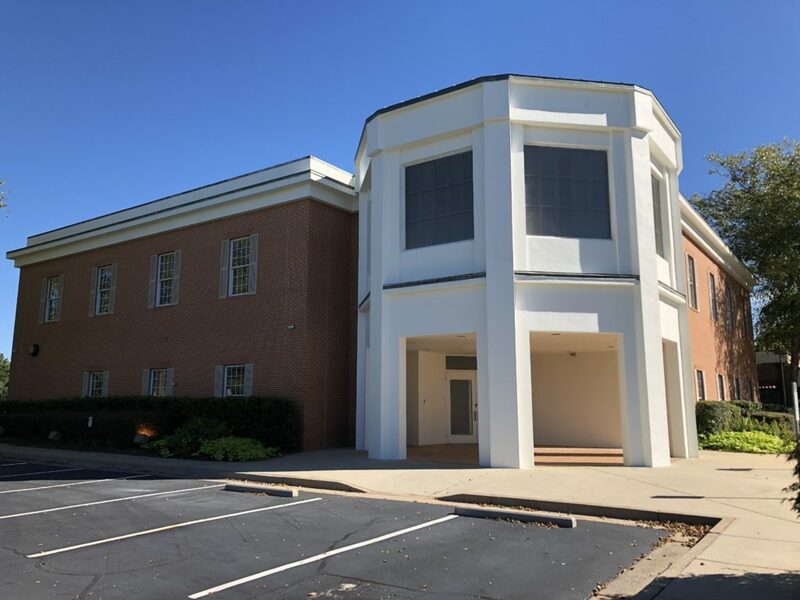 Then our skilled Roswell commercial painters did a wonderful stucco painting job. Notice how the front entrance pops and is now lightened up to welcome visitors! Do you need a Painting Company in Roswell GA? Here at Sharper Impressions Painting, we offer both commercial and house painting services. Get your free painting quote today!